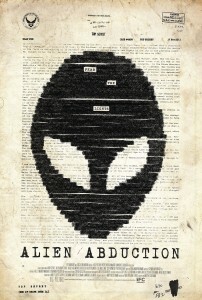 Last month, we exclusively told you IFC Midnight had picked up Alien Abduction and presented a 15-second teaser. Today, IFC has revealed the full trailer and a one-sheet. Directed by Matty Beckerman and written by Robert Lewis, the film concerns a vacationing family that encounters an alien threat. It's apparently based on the real-life Brown Mountain Lights phenomenon in North Carolina. Hostel‘s Mike Fleiss and Reservoir Dogs‘ Lawrence Bender produced the film which is hitting select theaters and VOD April 4th.